The average person can perceive 1 million colors. The cones in our eyes absorb the different wavelengths of light and send signals to our brains that are translated into the colors we see. The number of cones most of us posses are three, making us trichromats. A small few possess a fourth cone, enabling them to see 100 million colors! What is it like seeing all those colors? 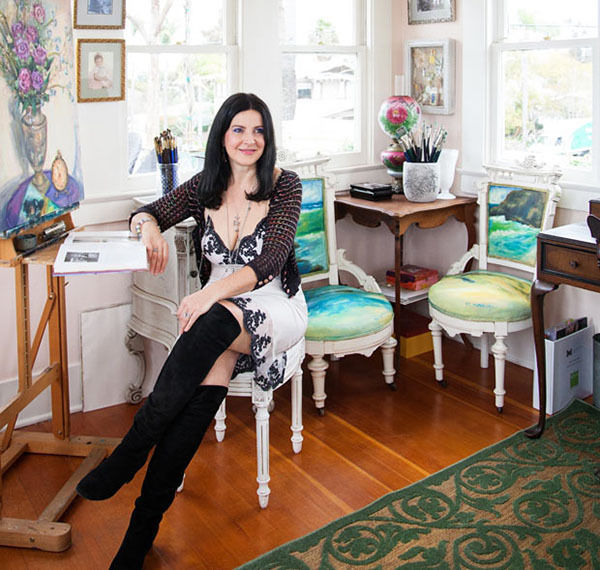 We sat down with Concetta Antico, considered the World’s First Tetrachromat Artist to find out. How Did you Discover your Gift for Color? I was only discovered recently, in 2012. Prior to that time I was as green as anyone else about what tetrachromacy even means. Learning that I see color differently made me reflect back on my life. I was a child that was immersed in color as far back as I can remember. Even in preschool, I was fascinated with it. I can recall others commenting on my use of color and my artistic expression. My mother, before she passed away when I was 12, said that I would be a great artist and art teacher. At the time it didn’t mean as much to me as it does now. I always wanted to be outside in nature, which isn’t unusual for children, but it was what I found interesting that was considered peculiar. I found myself collecting things in nature because I was so affected by the beautiful colors I would see. These things were like jewels to me. I continued to be fascinated with color in high school and college. What Do Your Friends Think About Your Love of Color? The Internet connects you with people that you haven’t seen for many years. Recently I’ve had friends I went to school with find me on Facebook to tell me they weren’t surprised by what they were reading about me. They said I was the person that was going to do something in the field of color. They remembered that about me, my use of color, my fascination with it. 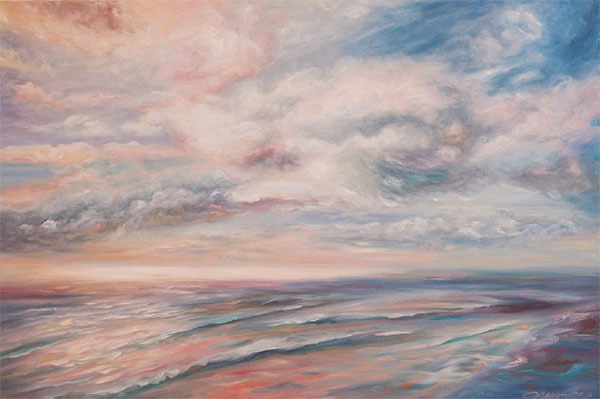 How Did you Come To Be Known As The Only Tetrachromat Artist? About 8 or so years ago, one of my students came to me with an article he had found on tetrachromacy and he said, “I think you’re one of these.” Of course, I thought, yeah right, so I ignored it. I thought it was interesting but I just filed it away in the back of my head. I didn’t think it was me, it was too bizarre, too silly, to think that I might have super vision. A few more years went by and my daughter who was about 8 at the time came home from school one day and said, “Mommy, I can’t really see when the teacher writes with orange on the board.” I asked her where she was sitting and she said, “I’m in the front row.” So I called the teacher and she said, “I don’t understand why that would be, perhaps she should see a doctor.” So I took her down to the local optometrist and asked the doctor to test her for color vision and he said, “No, I’m not going to test your daughter, she’s a girl, she’s not color blind.” I had to argue with him a little but finally he gave her the test. I was standing over her shoulder as she took that test and I watched her fail miserably. Obviously my heart sank as I realized she did in fact have color deficiency. For a woman who is an artist, it felt so significant. Of course I didn’t make a big deal of it for her and we pressed on. I didn’t realize at the time that it had everything to do with me. Two weeks later Dr. Wendy Martin sent me an email. It was one of those days that would change my life forever. The email contained articles and bibliographies. I remember it very vividly. I opened up the bibliography and there was an article called “Madam Tetrachromat.” I was reading it and the first line that I read said, “Women who have the potential for Tetrachromacy also have the potential to have a colorblind female offspring.” When I read that, it all came rushing to me that maybe I really am one. I did some research on the web and found the email addresses of the doctors that were cited in the articles. I reached out to them with a subject line, which caught their attention (now I know now why)… Possible Fourth Receptor Artist with Colorblind Daughter. The two key words were artist and colorblind daughter, because it’s that combination that signaled to them that I was possibly a bonafide tetrachromat. One of the doctors, Dr. Jay Neitz, responded and we were on the telephone twenty minutes later. He said, “I think there is a high possibility that you are a tetrachromat, would you be willing to take tests?” Of course I said, yes. It was a great opportunity to find out about my daughter, to find about me, to learn more, so I said absolutely. That was November 16th, 2012. That day he airlifted tests to my home and I sent them back the very next day. I tested positive for tetrachromacy. What Types of Studies Are You Involved In These Days? There has been a lot of subsequent testing. Currently, I am being studied by Dr. Jamison at University of California in Irvine. 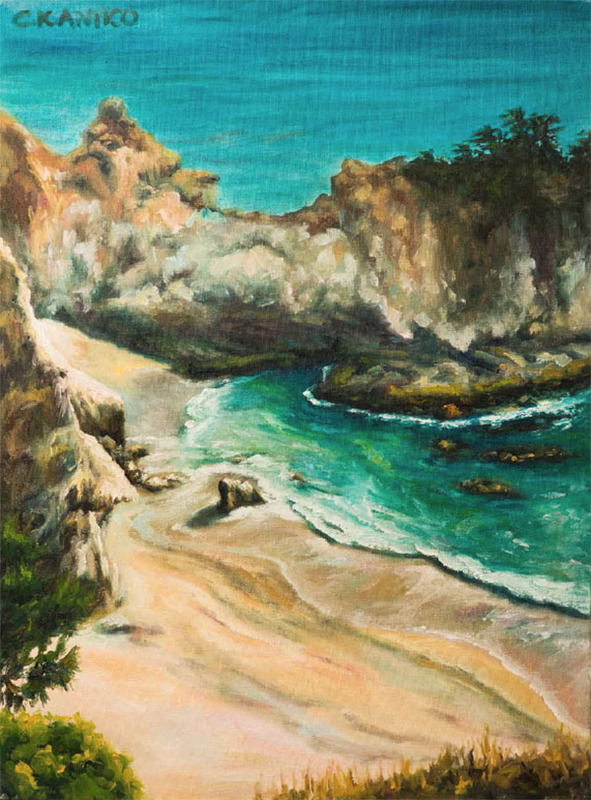 They are finding that because of my intimacy with color on a daily basis, I am considered to be the perfect storm for a functioning tetrachromat. It turns out that not only do I have the genotype, but I also have expressed the genotype to its highest potential due to my lifelong immersion in color and color creation. There is a difference between having the gene and whether you have the ability to express that gene. As an artist and teacher, my color perception has had the ability to develop. Think of it like a muscle, if you don’t use it, you’d never reach the potential of that genetic gift. I have been an artist my entire life. 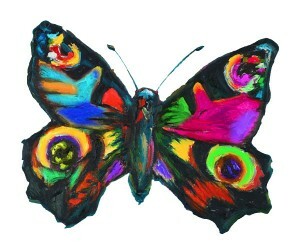 Have you Met other Tetrachromats? When I first spoke to Dr. Jay Neitz, he mentioned they were looking for a subject for a 3D TV documentary called, Science Mysteries: Tetrachromacy. They hadn’t been able to find a subject and they were down to the wire for production. I ended up being featured on the show. 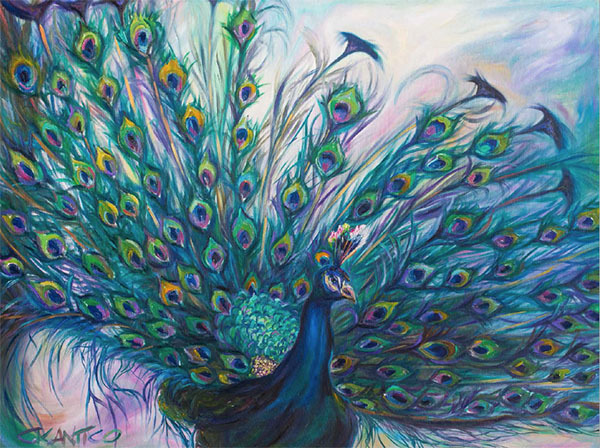 There was another tetrachromat featured on that show that I met. Other than that, nope. There are many people who are claiming they are, but they haven’t been authenticated. There are many different levels. You could have a superior gene for muscle development, but if you never got up from your chair and you just sat at a computer all day, then you wouldn’t have developed it. You don’t have and cannot express tetrachromacy unless you are functioning. What is Your “Color” Relationship Like With Your Daughter? In Part 2 of the series we talk with Concetta about skin tones, lighting and resisting the urge to stare at colorful things all day. Loved this colorful read.. stunning!